Diary of the Narcissist: Who is the real Narcissist? 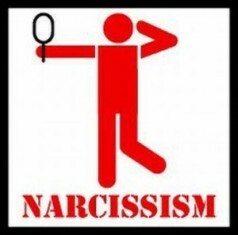 The word Narcissism has its origins in the Greek Mythology. There was a handsome hunter named Narcissus who fell in love with himself after seeing his reflection in the water. He loved himself so much that he couldn’t take his eyes of the reflection. He was so captivated that he died there looking at his own reflection. So who are the Narcissists of the modern world? If you use twitter or facebook you would have met them. If you use twitter to follow some of the great people you look up to, you will often find yourself disappointed. You probably like them for some awesome dialogue they said in a movie or something great they said during a speech. A dialogue or a line which gives you goose bumps each time you hear it. You thought there was nobody greater than this guy and you wanted to be like him someday. When you first joined twitter and when you followed him, you expected him to display that same greatness in his tweets. Instead, what do you get? What makes them give such light headed confessions? Narcissism of course. Recently I saw a chain message being circulated among guys in their facebook wall. It was a message to curb a type of Narcissism which is so widespread among the female population. awwww!! !♥ ♥ today had loaadsss of fun with nisha,isha, misha & gusha ♥♥...also stay at dundu's house wass awesumm...thnk u shoo muchh dundu :))) u r shoo shweet !! cant forget u guyyysss...:D :D and tuttuu ...will missh u shoo muchh :(( :(( ...hugss. ♥♥ !! People who suffer from Narcissistic disorder reveal this kind of high levels of self focus and self importance. Some girls change their display picture every other day. They then text their friends and ask them to log in to facebook and like their new display picture. When a girl I know asked me to do it, I asked her why she was so desperate for my like in facebook. She said she was competing with her friend to see who got the most number of likes. So girls these days fight for likes the same way a politician does for the people’s votes. When a politician asks for votes it is called political campaigning. When a girl asks her friends for their likes, it is called Narcissism. 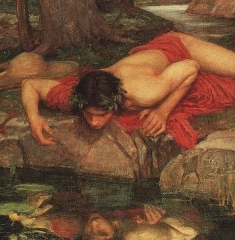 If the handsome Greek Narcissus lived today, he wont be looking at his reflection in the river water. He will be typing status messages in facebook and asking people to like his display picture. The most Narcissistic thing I did this year was changing my facebook display picture. The display picture I had before was the two hands holding a candle. It is the same display picture I use here in my blog and it is the same display I have had for the last five years. So changing my display picture and putting my own face in facebook was a big step for me. One hour and four likes later, I changed it back to my original picture. I was far too self conscious to put my face on display. I was taking a closer look at my new facebook time line and I realized how boring my facebook time line was. I never put any real status messages like any of my other friends. My facebook timeline showed little about my history. The few status I did put, I deleted after a couple of days or a couple of hours. 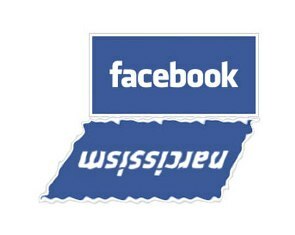 I realized I used facebook only to play poker and to promote my blog. Feel free to call me Narcissist but you should look at yourself before you call me that with the hopes of offending me especially if you are one of those chicks who puts display pictures and do a narcissistic campaign for likes. So if you are wondering why in the world I named my blog Diary of the Narcissist, I have to tell you how I was inspired to write a blog to begin with. A guy in my facebook friends list was boasting that he got some thousand visitors for his blog in that month. I was amazed. I had no idea he was such a great blogger. I had to read some of his stuff. So I went to his blog to find the most boring piece of sh*t in the world. I thought if he can write such stuff and get away with it, I should write stuff too. His blog was about politics and sports. I could not write about such stuff because I barely read the news paper to develop an opinion about stuff like the lok pal. The only news paper I read is the New York Times. Though it might sound all fancy and hi fi, let me tell you it is more like a magazine and contains little latest headlines. So I couldn’t write about politics, sports, entertainment, business or social stuff. Not because I did not want to, but because I did not have any original thought in those areas. 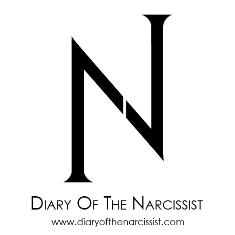 I decided I will write about the stuff that happens in my life and since I am focusing my blog on me, nothing can be more appropriate for a title than Diary of the Narcissist. At that time I thought nobody was so crazy enough to write blogs about their own lives. I wouldn’t be a Narcissist now had I known the number of people who wrote sad stories about their lives in such tragic ways that gives the reader suicidal tendencies. I guess it has ultimately served the purpose of giving me a unique identity as a blogger. I was worried people will start thinking I have a personality disorder because of my blog title. But one gentleman gave such a fine review for my blog. He doesn’t know me but has got his review spot on. It has laid all my worries to rest about readers misjudging my personality. Check out the review he gave me by visiting Lucifer House Inc. He gives reviews for anybody who wants them (provided you satisfy certain conditions). It is been six months since I started writing and I am celebrating my blogs half birthday today. I know nobody celebrates half birthdays but where is the originality if everybody celebrates their birthdays after a year? And what is so special about the birthday? I got a new custom URL for my blog - www.diaryofthenarcissist.com. According to another version of the story, a Greek goddess called Echo fell in love with Narcissus. But he was too busy loving himself, so she pined away, waiting for him, till all that was left of her was her voice- and that was how the Echo came to be. 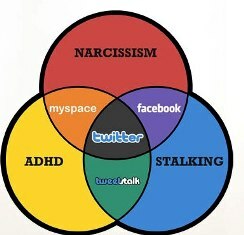 Now before you brand me as another attention seeking narcissist, I shall stop :P Great post, as usual! Narcissism can also apply to blogging, you know..B'cos after all, its a type of social media too..don't you crave for comments?..but who cares, everybody is a bloody narcissist! Everybody has narcissistic characters with them only % differs ! wonderful entry- being a narcissist as I am vying for my space in the blog world - iam my own follower, howzaat? I liked your take on FB stuff- so very disgusting that I had to beat a hasty retreat. Here is a typical ex. of likes on fb- a guy writes on his status that few of his belongings were stolen from his car and we find umpteen thumbs up for that! Oh my gosh! Your experiences with FB - not having a real display pic and being nervous about posting statuses (I also think a million times before writing a status and remove it after a few hours, feeling uncomfortable baring all to close to 700 so-called 'Friends'! )...ISN'T THIS JUST BEING PLAIN 'SHY'? At least, that's what I thought I was. Anyways, loved your criticism of FB, haha! I'm sorta-happy I avoid it like the plague - always had my doubts it was a den promoting narcissism and other personality disorders. Great blog, too real and too to the point. Happy Birthday to narcissism & Narcissus! Loved the post.It was something I was meaning to write about and I think you have done a better job. Haha, I don't think you're a narcissist but I totally understand what you're saying about people that are! Happy half b'day to your blog!! Informative posts. Sigh.. such a rarity!